“Can't say I blame them for reacting like that,” I was told over the phone late last week. What started as a typical call with a friend turned into an hour-long conversation about Peak Oil. Both of us had just gotten word of Australia's Report 117 and the fact that the Australian government was keeping a tight lid on its contents. “So you're saying it was okay for them to bury it like that?” I asked. Unfortunately, I knew all too well what he meant. First, a brief rundown on Peak Oil. Simply put, Peak Oil is the point at which oil production reaches its maximum rate. Every single oil field on the planet goes through this cycle. Rather, Peak Oil refers to the rate at which we can produce it. Think of it like this: If we could put every drop of oil in the world into one gigantic barrel, and we were given a small cup to draw the oil from the barrel, we'd be in serious trouble. The oil is sitting right in front of us, but we are unable to get it. Back in 1956, a Shell geoscientist by the name of Dr. Marion King Hubbert delivered an ominous speech forecasting U.S. oil production would peak in the early 1970s. But with the peak of oil production behind us here in the United States, a more dismal peak is on the horizon — the point when the world's oil output reaches its limits, followed by a permanent decline. But at least the IEA published their report instead of burying it. Don't feel too bad if you've never heard of Report 117 — until recently, nobody had. Turns out the report's conclusion was too much for some to handle, since the government decided not to publish it. Here's the backstory. Five years ago, Australia's Bureau of Infrastructure, Transport and Regional Economics (BITRE) started a project to “look in a strategic way at possible alternative transport energy futures.” One of the issues on the table: the world's oil depletion. However, deep and non-conventional oil production are growing strongly, turning a slight decline into a plateau for total crude oil (production). Given the growth in deep and non-conventional (production) balancing the shallow decline in conventional production, it is predicted that we have entered about 2006 onto a slightly upward slanting plateau in potential oil production that will last only to about 2016 – eight years from now (2008). For the next eight years it is likely that world crude oil production will plateau in the face of continuing economic growth. After that, the modeling is forecasting what can be termed 'the 2017 drop-off'. The outlook under a base case scenario is for a long decline in oil production to begin in 2017, which will stretch to the end of the century and beyond. 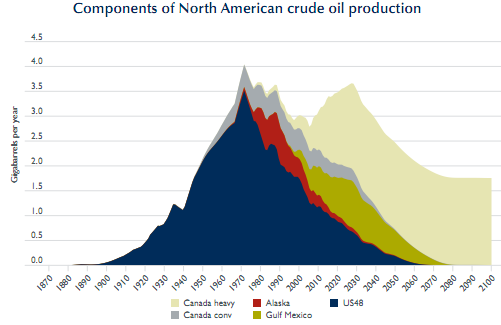 The rest of the report (which you can read in its entirety here) painted a rather grim picture for the world's future oil production. The news isn't "bad" for everyone. After all, scarcity breeds value. And while he made a good point, I have a feeling the “crowd” is catching on more quickly than my friend had hoped. That much was evident last Wednesday while watching Continental CEO Harold Hamm talking about the Bakken with Cramer. 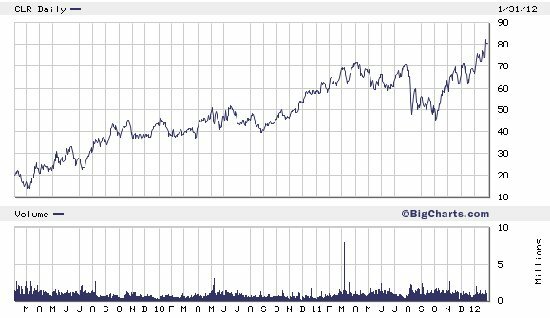 As Cramer said in the interview, you really can't talk about the Bakken without mentioning Continental Resources (CLR), which holds the largest acreage in the play. Not too shabby for such a volatile market. CLR is also a perfect example of the growth we're used to seeing. Here's a strong North Dakota driller pumping a little over 75,000 barrels of oil equivalent per day, which is double the amount they were producing in 2009. As I've mentioned before, this is light, sweet crude of the highest quality (with a gravity of about 47, according to Hamm). Remember, Eni's 2011 World Oil and Gas Review reported that medium sour crude (stemming from the Middle East, Russia, and Central Asia) made up the main source of the world's oil production, while the global supply of light and low-sulfur crude continues to decline. Yet with all the hoopla surrounding the Bakken, I'm surprised at how little attention the smaller players have gotten over the last few years — many of which have presented investors with a huge opportunity in non-conventional production. To get complete articles and information, join our daily newsletter for FREE! Plus receive our free report, "Two Stocks to Play The Coming U.S. Oil Export Surge"
Editor Nick Hodge gives his take on two proposed Canadian oil pipelines, and tells readers to ignore the politics if they want to make money. The EIA's latest shale gas revision just gave natural gas prices a boost. Find out why slashing gas in the Marcellus is securing profits for investors. 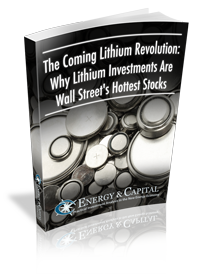 Editor Jeff Siegel reveals Warren Buffett's growth strategy for energy investing.